You will need the following books and/or reference materials in order to study for the NICET Fire Alarm Systems Level I exam. 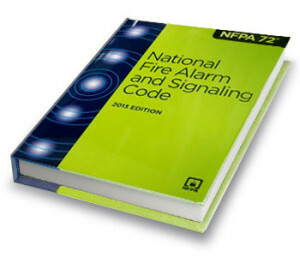 NFPA 72 2013 – As per the date of the publishing of this book, NICET will allow the NFPA 72 2013 edition into the examination room. 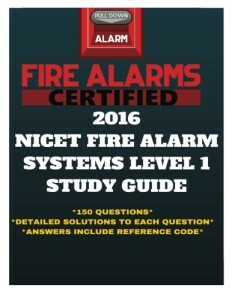 NICET allows other editions, however, the questions, and this study material, are from the NFPA 72 2013 edition. In addition, NICET will not allow loose sheets, sticky notes or handwritten notes in the book. NICET will allow tabs and highlighted text. 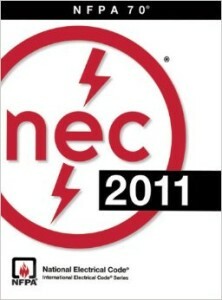 NEC 2011 – As per the date of the publishing of this book, NICET will allow NEC 2011 edition into the examination room. NICET allows other editions, however, the questions, and this study material, are from the NEC 2011 edition. In addition, NICET will not allow loose sheets, sticky notes or handwritten notes in the book. NICET will allow tabs and highlighted text. Test your knowledge by presenting challenging and relevant questions (150 questions). Gives you the method in solving these questions. All other guides (if you can call them that) simply give you the answer to the question or they give you the reference code where you will find the answer. That won’t help you much since you don’t know how to arrive at the answer. Gives you calculation examples with the step-by-step method on how to solve the problem. There is only 1 guide out there that does this, and it’s available now @Amazon with Free Super Saver Shipping.